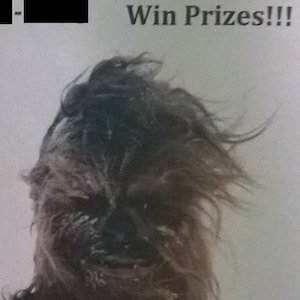 In the realm of pranks, one time, someone posted signs for a Chewbacca sound alike contest all over the 250 Brannan Street HQ. 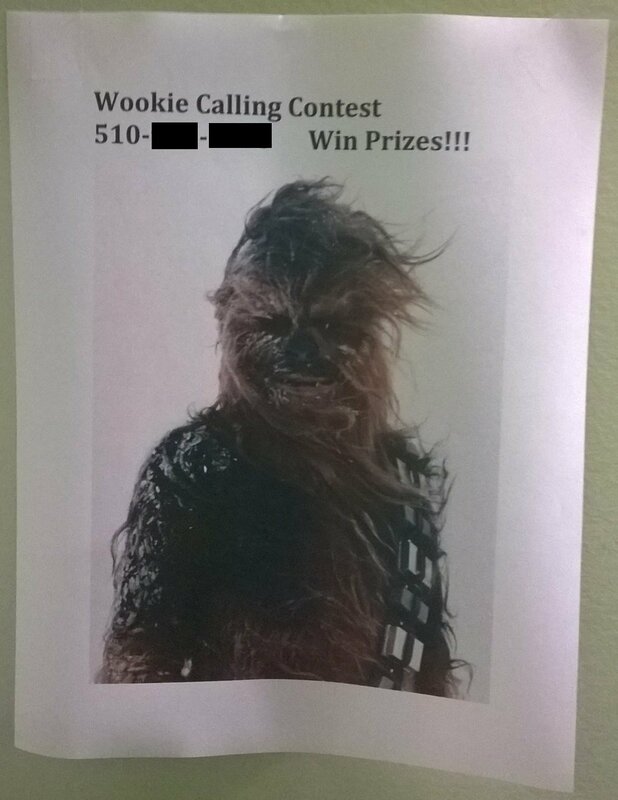 These fliers promised prizes for the best Wookie [sic] impression, just call the listed number… which happens to be the cell phone of Amrit Bath. This lead to a number of strange voicemails from other Splunkers, and members of the community. These posters are still reposted from time to time by an unknown actor, which Russell Uman vandalizes in order to correct the spelling.